The message that SMEs need to be worried about security breaches appears to be getting through with a growing number of small firms showing concern their corporate and personal data could be stolen. For a long time smaller companies had an ostrich like stance to security arguing that it was a challenge for enterprises but not something to worry companies with much less money in the bank. But cyber criminals are increasingly targeting individuals as well as SMEs to try and garner information that could be used to open bank accounts, pilfer funds and widen the botnet network. According to research cited by Trend Micro a fifth of SMEs are now worried about cyber crime and a quarter of those quizzed had suffered from a virus in the last year. One of the reasons that some smaller companies have resisted upgrading security is a misplaced belief that more protection results in lower performance. 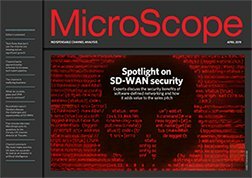 “If small businesses think increasing protection against threats means decreasing computer performance over time, they need to think again,” said Steve Quane, general manager of Trend Micro’s SMB business unit.